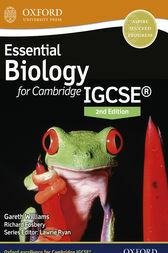 Support understanding for the Cambridge IGCSE Biology syllabus (0610). The clear, concise approach will support your EAL learners in understanding crucial scientific concepts. A step-by-step approach to the syllabus will help every learner reach their potential in science. it is written by an examiner, to help you support assessment confidence.